One reason some distressed property owners are hesitant to do a short sale is because they are aware the process can sometimes take months and that this will scare away potential buyers. If this is a fear that has kept you from doing a short sale on your Denver home, then you need to contact a short sale realtor right away. It is true that, yes, some individuals looking to purchase a home will steer clear of a short sale simply because it can take so long to close, however this shouldn’t keep you from taking advantage of the benefits of a short sale and getting out of your home when you need to. By working with an experienced short sale realtor in the Denver area, they will be able to tell you that there are certain individuals that make great candidates for purchasing a short sale property. Also, if you choose to work with an experienced short sale realtor, barring any unforeseen obstacles or mitigating circumstances, the short sale process shouldn’t take that much longer than a traditional real estate transaction. Two different types of people that are good candidates for purchasing a short sale are first-time home buyers and individuals that don’t need to close on the property right away because they are moving at a certain period of time, such as active duty military that are PCSing to a new base. These are two different types of buyers that are able to make an offer on your home but still wait out the process while your short sale realtor negotiates the transaction with your lender. Don’t let misinformation or fear keep you from short selling your property. 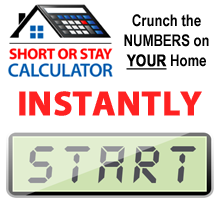 There are many people out there that are looking for a good deal on a home and will wait the duration of the short sale process in order to take advantage of that good deal. If you’re still concerned that this could be an issue, contact a Denver short sale realtor. They can help give you tips on what you can do to expedite the short sale process from your end and ensure that the transaction goes smoothly.